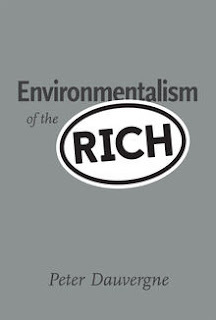 traces the shifting tactics of mainstream environmentalism from the radicalism of the 1970s to the corporate partnerships of the 1990s, in which companies accomplished incremental changes through in-house consultations with groups like the Sierra Club. It details how many green groups began as firebrand protectors of the earth, deeply inspired by indigenous movements that opposed the sale and commodification of nature, but have since morphed into something akin to compliance departments for large companies. major EPA regulatory victories were made in the 1970s and have not enjoyed similar wins for a generation. Under President Trump, the EPA stands to get even weaker, if not disappear altogether. The new environmentalism is also less legislatively engaged. It is far more focused on individual behavior and buying habits rather than the state’s role in mitigating environmental risks like pollution. The individualizing of environmental responsibilities follows the market orthodoxy that consumers will shape policy on their own through their choices, and that the best thing for regulators to do is step back. But that theory doesn’t hold water when we consider the huge asymmetry in information that companies have over consumers in terms of knowledge about the chemical makeup of their products and the supply chains that created them.